Imagine your client is an opera singer who has been lauded for excelling at a challenging role. Right now she’s only famous inside her native country, but she has hired you to elevate her to worldwide fame. Or perhaps your company’s India branch has been accused of labor violations, and it’s your job to get to the bottom of the accusations and clean up the company’s reputation. An inexperienced PR pro would be tempted to pitch each story far and wide. But, in both cases, the first step in your publicity campaign is to choose a target audience. There are a finite number of people who will be interested in a new opera star, and a whole lot of people who will not. While at first this may seem like a bad thing – all PR pros want to expand their client’s following as widely as possible – the fact that only a fraction of media audiences care about opera is a boon to an opera publicist. Why? An opera singer’s publicist can find media outlets whose viewers or readers are more likely to respond to a story about opera in particular or a new musical talent in general. Publications like the New Yorker and Opera Magazine, and television channels like PBS and NPR immediately spring to mind. On the other hand, plenty of media outlets – Maxim Magazine, Spike TV, and the Disney Channel for example – may not have enough opera fanatics in the audience for the opera singer’s PR pro to even bother with. And just like that, she has narrowed down her audience by interest and can now target her PR campaign to media outlets filled with opera lovers. How does a publicist find the right audience? Through market research. Fortunately, most media outlets widely publicize the interests, income, and other demographics of their readership in order to attract advertisers. PR pros would do well to familiarize themselves with this information before making a pitch. Pro tip: If you are unsure about the demographics of a media outlet’s audience, look at the advertisements. There’s a reason that advertisements aimed toward out-of-work people and retirees come on television during the day when others are at work. It’s the same reason that children’s toys are advertised during Saturday morning cartoons. Now what about those rumored labor violations in India? Once again, the PR pro must choose the right audience for her PR communications. This time, she may even have to communicate with multiple audiences. Local officials and activists might be fighting mad about rumored abuses. They will want answers and solutions for the workers affected. It’s a harsh fact that shareholders with a business stake in the company will probably be more concerned about how this negative publicity affects the bottom line. It will take an entirely different approach to ease their concerns. 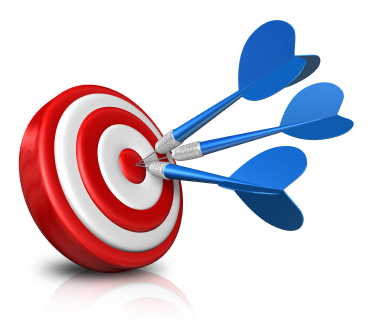 Have You Chosen the Right Target Audience? The best way to determine whether you’ve chosen the right target audience is to read your communication as if you were a member of that audience. While human rights workers are likely to become angered by an internal memo to shareholders detailing how this unfounded rumor will not affect the company’s bottom line, shareholders will likely be equally unaffected by a feature story geared toward concerned citizens profiling a day in the life of one of your company’s overseas workers. For PR pros, the danger of choosing the wrong target audience is that the communication will fall flat or even result in more negative PR. Before you ever start writing, choose your target audience.